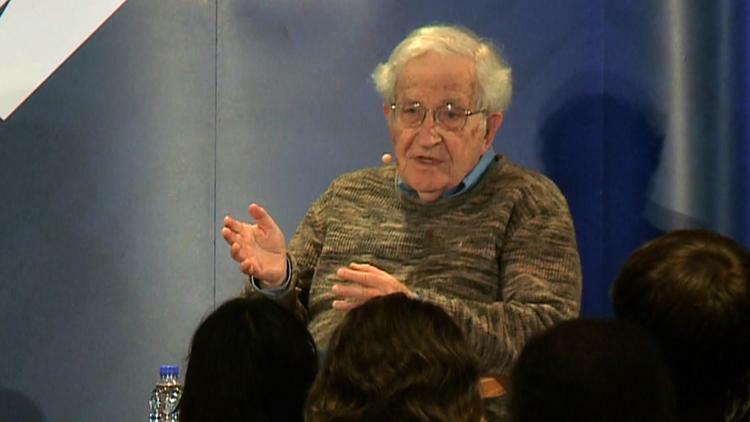 During a public event on Tuesday, renowned professor Noam Chomsky took time to reflect on the political impact of the Bernie Sanders’ presidential campaign. “An interesting aspect of Sanders’s positions is that they’re quite strongly supported by the general public, and have been for a long time,” Chomsky stated during a live event hosted by the Brooklyn Public Library. Chomsky went on to classify Sanders as more of a “New Deal Democrat” rather than a radical extremist, as some have described him, which he argued is indicative of “how far the (political) spectrum has shifted to the right” over the last several decades.